Green Mountain Power, the largest utility in Vermont, is promoting another aggressive clean energy offer to its customers — a $10,000 rebate on the purchase of a new 2017 Nissan LEAF. Now through September 30, GMP customers can visit Freedom Nissan in South Burlington and claim the rebate by presenting a special code supplied by the utility company. Details are available on the company’s website. 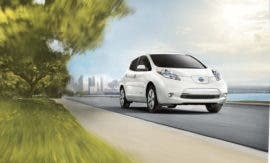 People who take advantage of the offer will also be able to claim up to a $7,500 federal tax credit when April 15 rolls around next year, making the net cost of a brand new Nissan LEAF SL with heated leather seats (very handy in Vermont) about $23,000. Not bad for a brand new all-electric car with all the bells and whistles and 107 miles of range. 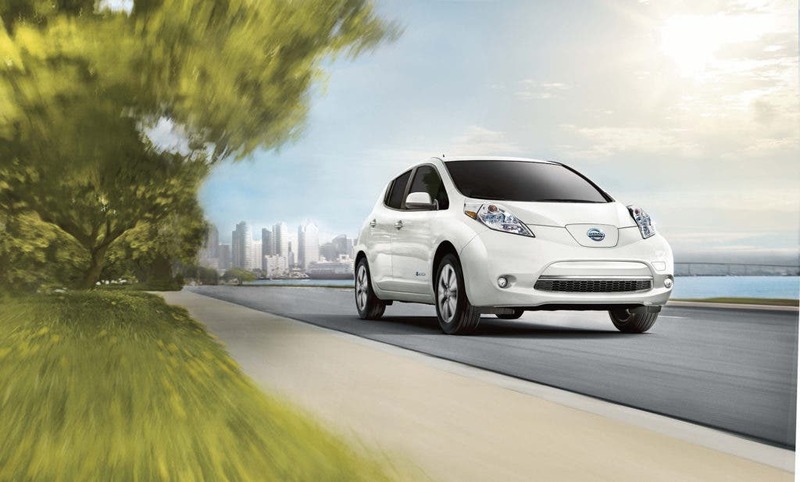 Or a base model Nissan LEAF S (with less range) could occupy their driveway for about $12,500. Earlier this year, Green Mountain Power also unveiled a special program for customers who elect to install a Tesla Powerwall residential storage battery. The batteries will be part of a shared microgrid arrangement, allowing the utility to tap them for extra power as needed to stabilize the grid. The price is $1,500 or a lease payment of $15 per month for a period of 10 years. GMP is installing Tesla Powerpack grid-scale storage batteries at several locations throughout the state but expects the shared residential units to offer similar benefits at lower cost to the company. While GMP is beating the drum for clean energy, the state’s regulators are imposing new setback and noise level rules on wind turbines that are some of the toughest in the country. If adopted, the new rules would leave only 0.2% of Vermont’s land area available for the installation of wind turbines. According to critics, they upset the cows, cause the heartbreak of psoriasis, and ruin the pristine tranquility of the Green Mountain state. “Not only does this technology not belong in Vermont or on our mountains anywhere in New England, it doesn’t belong anywhere near where people live,” proclaims Annette Smith, executive director of Vermonters for a Clean Environment which is pushing for the new restrictions. NIMBY is alive and thriving in Vermont, apparently.